Sunday the 2nd of June was in the Catholic Calendar the Solemnity of Chorpus Christi – the Body and the Blood of Christ. 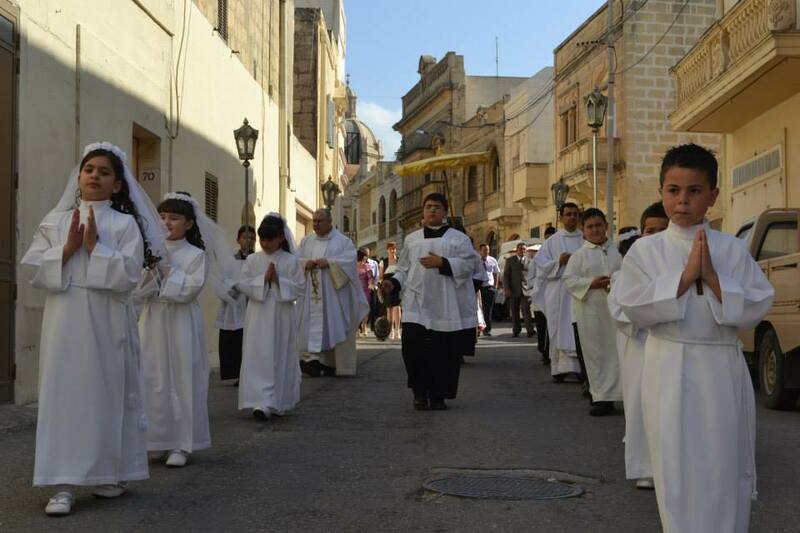 Eight children, three boys and five girls received their First Holy Communion during the 4.00 p.m. Mass presided by the Archpriest Can. Reuben Micallef. The procession with the Blessed Sacrament followed. During the Mass, the catechists for the Year 3 students who prepared them for their First Holy Communion were also present. The liturgy ended with Eucharistic Benediction at about 6.00 p.m.